Lee Gee is a fine art and crafts artist from Westford, Massachusetts. Calling herself an artist since childhood, Lee earned a B.A. of Art in 2014 at Westfield State University and committed to art full-time at the start of 2017. 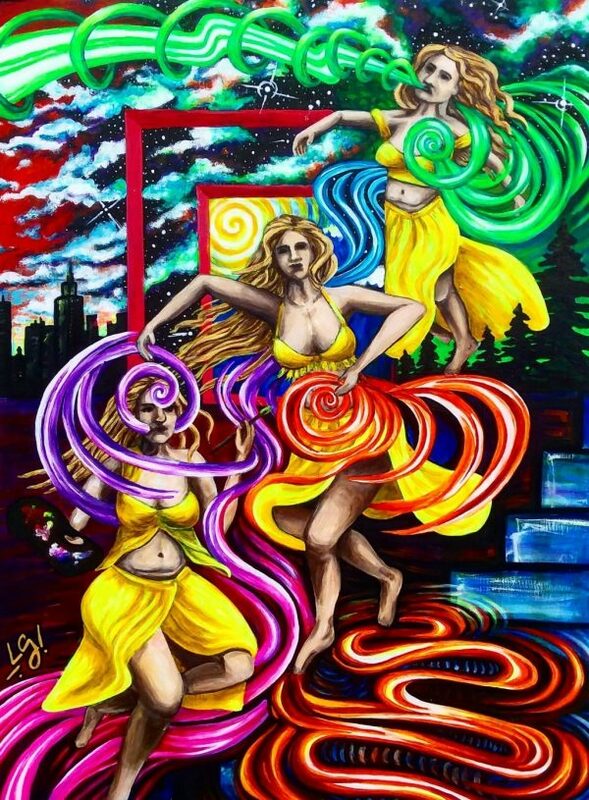 Driven by a passion for life, exploration and imagination, her paintings incorporate personal experiences, sacred geometry and vivid colors, often delving deep into a specific moment or feeling. As a contemporary visionary artist, she makes art that connects to universal, yet intimate human experiences. Currently, Lee Gee is living a simple camper life with her dog and boyfriend and is available for live painting and commission work. You can also view the exhibit during open gallery hours throughout the month.